Our spinal column, or vertebral column as it is correctly called, is made up of many vertebrae that are either fused or connected together and connects much of our skeletal structure together. The vertebral column is responsible for our day to day movements and allows us to walk around, run, bend forwards and left and right. The spinal column also houses our spinal cord, which is the second half of our central nervous system and, along with the brain, controls movement, pain and feeling for a lot of our body. In the event that something happens to our spine and a fracture is sustained, a lot of pain can be felt. Kyphoplasty disc surgery is designed to stop the pain caused by a spinal fracture and restore some or even all of the body height lost due to compression fractures. What is Kyphoplasty Disc Surgery? Due to the degradation of the spinal vertebrae or in the cases of accidents or injury, sometimes cracks or breaks in weakened bones can occur and are often more common in older people and sufferers of osteoporosis or bone tumours. These breaks or fractures can cause the spinal vertebrae to collapse and are called vertebral compression fractures. Kyphoplasty disc surgery will sometimes be the only option for repair or correct this kind of fracture. Balloon kyphoplasty disc surgery is a minimally invasive surgical procedure performed most often on the mid and lower back during which a small incision is made at the site of the vertebral fracture and a special strong little balloon is implanted into the vertebral compression fracture, inflated and then quickly removed. The space left behind is filled with a special cement to try and correct the spine. The operation is performed with the patient under a general anaesthetic. For the kyphoplasty disc surgery, you will almost always need a few nights in the hospital and following the surgical procedure you will need to undergo a physiotherapy program to help with the rehabilitation of your spinal muscles. Because following kyphoplasty disc surgery, you will need to spend some time in the hospital and complete a physiotherapy based rehabilitation program, this operation can become very costly and varies greatly depending on where it is done. If you meet all the prerequisites for this operation it is covered by the NHS. Because of the huge varying factors in each different case where kyphoplasty disc surgery will be performed, an accurate estimation of cost can’t be obtained. If you need to pay for this surgery, consult with your doctor and surgeon so a surgical procedure can be made up for you and a quotation can be given. The risks associated with kyphoplasty disc surgery are minimal and in most cases complications occur in less than 1% of all patients that undergo the procedure. 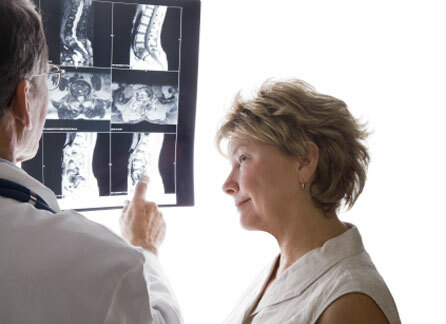 Kyphoplasty disc surgery is almost always used only in the case of chronic pain as sometimes the pain associated with a vertebral fracture can resolve itself in a matter of weeks.